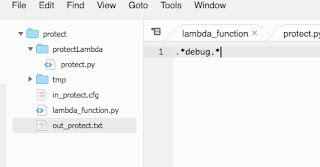 In the last blog, we discussed about how traditional defense solutions are not sufficient for protection of lambda functions and how 'protectlambda', a small utility from the 'lambdaScanner' toolkit, can be used to guard incoming as well as outgoing stream through a set of predefined rules. Please refer to http://blog.blueinfy.com/2018/09/runtime-lambda-protection-self-defense.html (here) for more details. 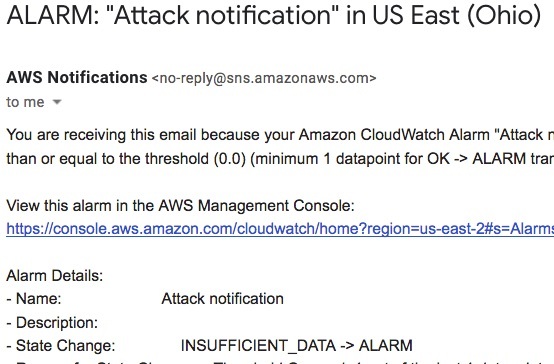 In this blog post, we are going to build over the 'protectLambda' function to set up a strong real time monitoring, analytics and alerts capability using Amazon CloudWatch. 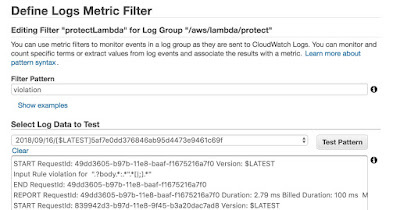 Amazon CloudWatch, a component of AWS that collects monitoring and operational data in form of logs, metrics, graphs and events, provides a unified view for AWS resources and applications running on AWS infrastructure. 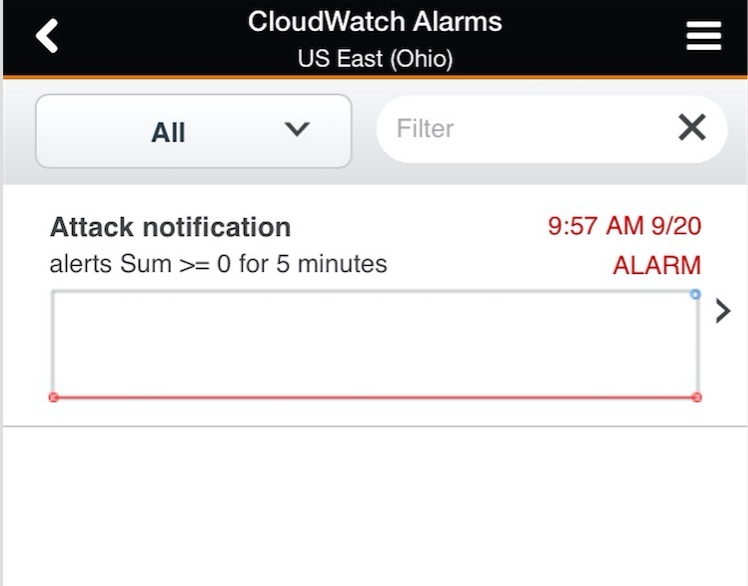 Moreover, CloudWatch allows to customize and set filters, triggers, alarms to troubleshoot issues and take automated actions. As shown in the below figure, all these functionalities can be leveraged to set up real time analysis of the lambda functions. 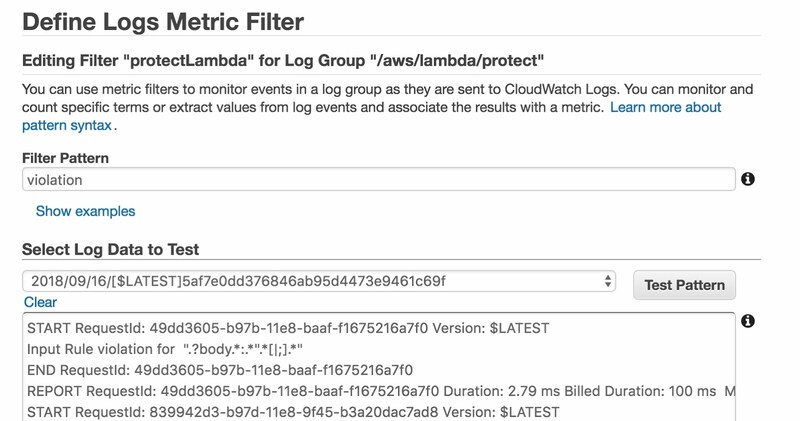 As discussed in the last blog post, we can introduce the 'protectLambda' utility for lambda functions, define a set of rules for the event stream and the outgoing stream and then monitor and track the logs for rule violations using CloudWatch. 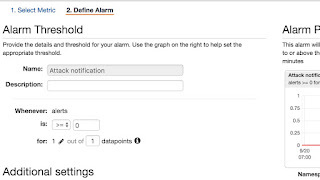 A customized dashboard can be created to monitor logs based on filters, correlate logs and metrics, view data in graphs and set alerts with CloudWatch alarms. This dashboard can then be leveraged for real time monitoring of the attacks on lambda functions and for checking how these attacks are blocked by the 'protectLambda' utility. 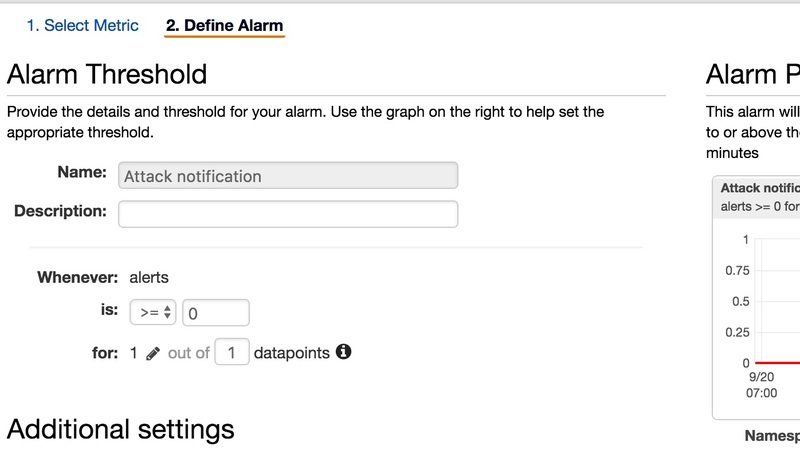 Alarms and notifications can be configured to inform the team of attack on lambda functions and violations of pre-defined rules. We can define filters, using the Logs Metric Filter, for specific log groups. In this case, we are creating a filter for the records logged from the 'protectLambda' function (the function added to protect the incoming and outgoing stream of the lambda functions through a set of predefined rules). The 'protectLambda' function blocks the event stream and outgoing response according to a defined regex and logs a "Violation" entry as and when it blocks something. Thus, we define a filter for the word "Violation" which will keep tracking for the word "violation" in this group of logs. This metrics can later be plotted on a graph. The metrics from the above filter can be plotted on a graph as shown below. The graph show the number of instances of violations defended by the 'protectLambda' utility. 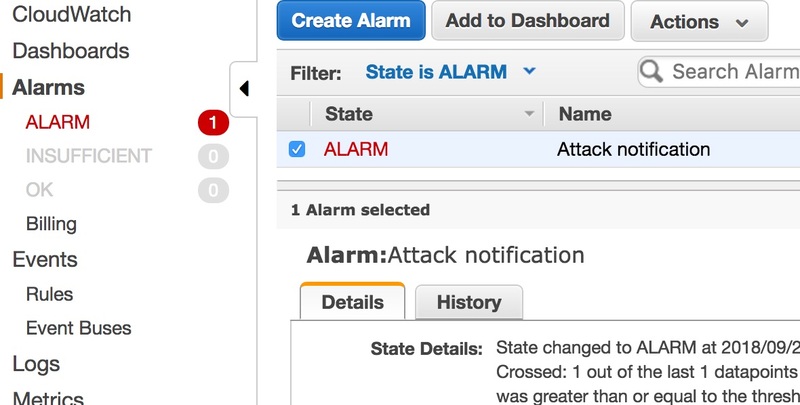 We can create attack notification alarms for the created metric filters as shown below. In this case, we have created an alarm for the filter 'protectLambda' which looks for the word "violation" in the selected log group. We can define a rule where an alarm notification will be triggered as soon as we get one instance of attack in a specific window of 5 minutes. Thus, we can see that as soon as a lambda function is attacked and 'protectLambda' defends an attack on the function we get a notification on our dashboard. 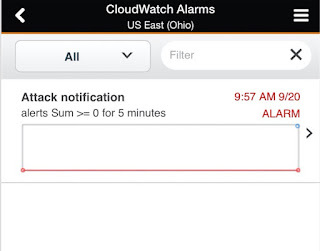 We can also configure to receive these notifications in email or on the CloudWatch mobile application as shown below. Looking at the inbuilt capabilities of CloudWatch, there is no need to set up and create a dashboard on a different domain. The provided functionalities can be easily leveraged to monitor the lambda functions, analyse logs in real time and in turn perform the required actions depending on the analysis. Serverless functions, like AWS Lambda, are transient, temporary and do not have traditional defenses like WAF/IPS/IDS/RASP. 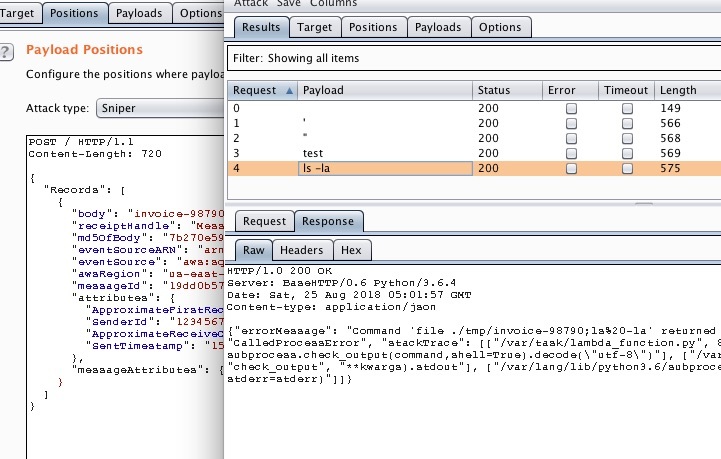 Moreover, these functions are not always invoked through API gateway over HTTP(S), where one can provide defenses like WAF to filter for malicious payloads. Lambda functions consume “events” coming from various sources like S3, DynamoDB, SQS etc. (as shown in the below figure). Hence, there are no frontline defenses for these functions. These functions must be protected from "inside" rather than having defenses from outside. They should have self-defense abilities embedded in the function itself. In this blog, we are going to cover this type of self-defending techniques for Lambda functions. Lambda functions have two important aspects – "event consumption" and "response to specific events". It is imperative to build strong event processing and filtering capabilities before the event stream (payload) hits the actual function. Hence, if any malicious payload is being injected to the stream then it gets isolated and disconnected from actual lambda function. This is the first and foremost defense one needs to provide to the lambda function, from inside without trusting any outside defenses. Secondly, in cases where an attack is successful and the functions are compromised, it may lead to sensitive data disclosure through "outgoing stream". These outgoing responses and streams must be protected and blocked from "inside". A "post exploitation" scenario would include permission controls, invoking other channels like pushing data out on a network, spinning another process to advantage etc., providing controls for “post exploitation” scenario would be not fruitful and can be bypassed in some cases. One should be focused on securing the event stream rather than waiting for the exploit to hit the function. We have seen many defensive controls come into play during exploitation phase and they can be bypassed in one or the other way. Hence, it is always advisable to protect the function from inside, for vulnerabilities, rather than taking care of exploit scenarios. 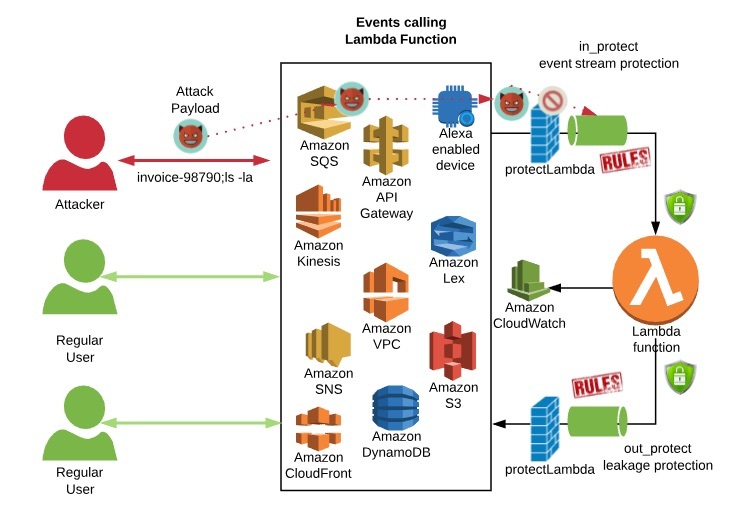 One can achieve protection for the event stream as well as outgoing stream information leakage by wrapping lambda function without changing the actual code. It is very simple - one can use a regex to build effective rules to guard against known vulnerabilities. The same wrapping code can be used to enhance and build many other validations like data type, length, characters etc. 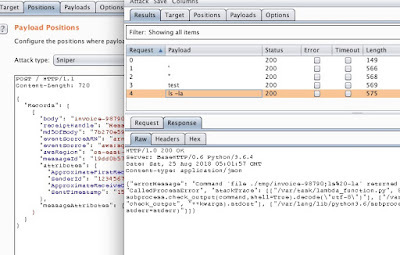 Also, as an extra defense one can block all possible patterns of malicious payloads which are well known for years. As part of the 'lambdaScanner' toolkit (for python), there is a small utility called 'protectLambda'. 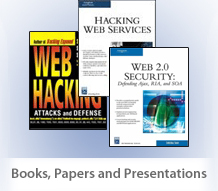 It helps in building a solid defense against vulnerabilities, by leveraging regex, in a simple and effective way. The working of the 'protectLambda' function is shown in the below figure. 'protectLambda' sits before the actual lambda function and keeps a watch on both incoming and outgoing streams. One can have a predefined set of rules in place and based on those rules, any attack coming to the lambda function would get blocked. Let’s look at its implementation. One can leverage this utility or build a similar component for lambda functions. This same idea can be applied to other lambda technology stacks as well. Here is an invoice processing system, which is taking event from SQS in the below format (let’s store it in the "event.txt" file). 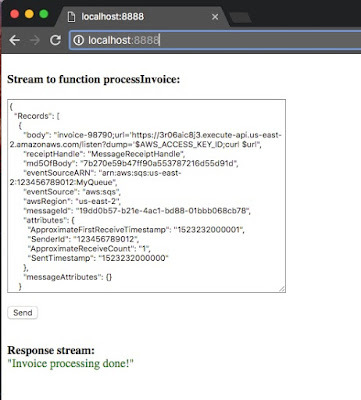 This SQS message is coming through the end user through various different applications as described in previous blogs. We can invoke this function by using the 'scanLambda' component from the 'lambdaScanner' toolkit or by any other means. (-) "Invoice processing done! [Debug:./tmp/invoice-98790: ASCII text, with no line terminators\n]"
We get "Debug" info, which is just for education/dummy purpose. The content from debug information (in this case, we got ASCII) suggests that some kind of command like "file" which is used to fetch type of the file-content is run. (-) "Invoice processing done! [Debug:total 6\ndrwxr-xr-x 4 root root 118 Sep 8 06:33 .\ndrwxr-xr-x 22 root root 4096 Sep 8 05:23 ..\n-rwxr-xr-x 1 root root 14 Sep 8 06:33 in_protect.cfg\n-rw-r--r-- 1 root root 354 Sep 8 06:26 lambda_function.py\n-rw-rw-r-- 1 root root 9 Sep 8 06:25 out_protect.cfg\ndrwxr-xr-x 2 root root 33 Aug 21 16:37 protectLambda\ndrwxrwxr-x 2 root root 36 Sep 8 05:55 tmp\n]"
Here, we have a potential command injection. Now, let’s secure it with 'protectLambda' utility. To achieve it, include 'protectLambda' as part of your project as shown below or as part of your package zip for AWS. There is no need to change the code as such. Now, let’s add a rule for all incoming event streams. For example: - we can have this simple rule - .*[|;<>&%*#]. * - which blocks a list of malicious characters listed between square brackets[ ]. For a successful command injection, one needs to leverage one of these characters. One can add any rule that fits the criteria to the "in_protect.txt" file. Once loaded, it starts blocking malicious characters from the event stream. One can enter rules for specific to parameters as well. For example: - the below rule will search specifically in the "body" parameter which is sent in the message. In our case also, we are more interested in this parameter. It is important to have proper logging mechanisms in place. One can go ahead and setup a trigger with rules such that this message is sent, to the configured email address/phone number, immediately through email or SMS. One can quickly take action against IP address or setup more monitoring on the function if needed. This is the way we can achieve "defense from inside". We can apply multiple rules as well and protect the function from various possible attack vectors. 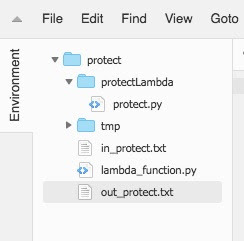 As we leveraged the 'protectLambda' function to protect against incoming payloads, it can be used to protect the outgoing stream using the "out_protect.txt" file as shown below. It is equally important to protect the information going out through error messages, debug information or post exploitation harvesting. Hence, this way the outgoing stream is also protected by the utility. The nature of lambda functions is such that various sets of payloads can be injected by manipulating the event streams. 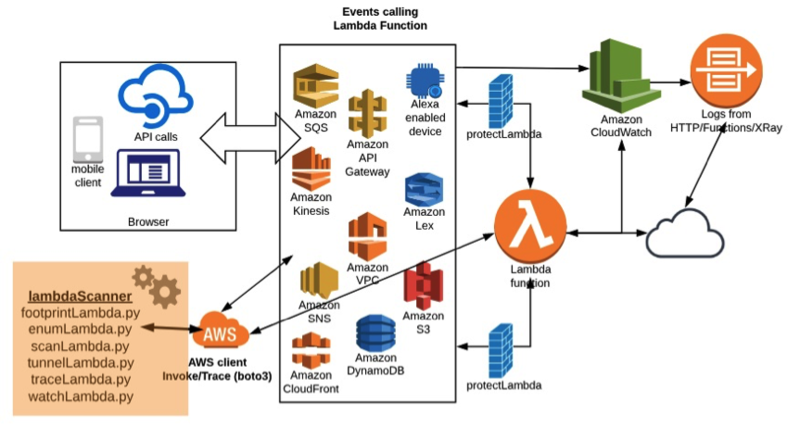 As it is not necessary that the lambda functions would always be triggered by an API gateway though HTTP(s), it would not be possible to deploy traditional defense solutions for lambda functions. 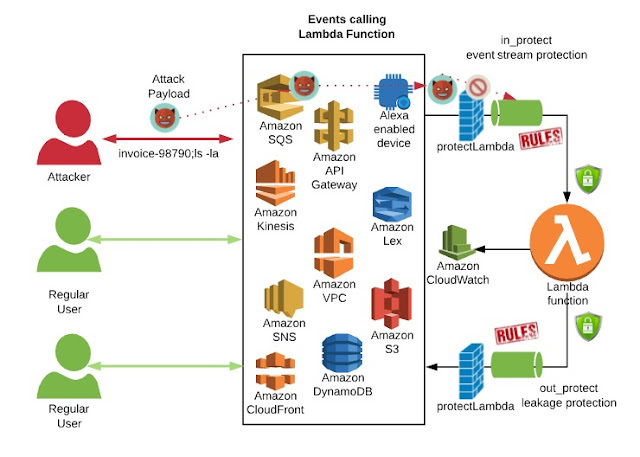 Thus, the use case scenario of the lambda functions makes it imperative to use strong defense techniques from "inside" for incoming as well as outgoing streams. As the first line of defense, 'protectLambda' can guard both incoming as well as outgoing streams through a set of predefined rules. This is also a practical solution from its model perspective, as having a protection where every request makes a call over a network and gets validated at a central place would break the whole idea or model of serverless functions. Thus, defense techniques integrated with the lambda function itself along with proper logging mechanisms seems to be a correct approach. 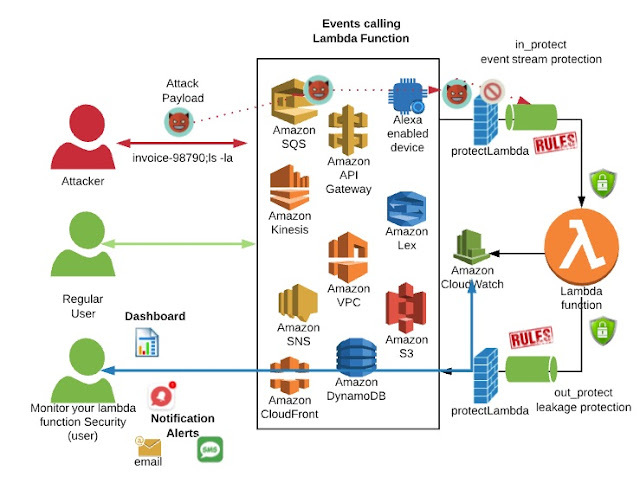 This way, we can achieve lambda function's runtime protection by providing self-defense from inside, independent from any other system/application/program/services. One of the challenges for lambda function testing is to incorporating and integrating traditional effective tools like netcat, burp proxy or sqlmap. These tools runs on HTTP(S) pipes while lambda function's events can be coming from any where without HTTP pipe. 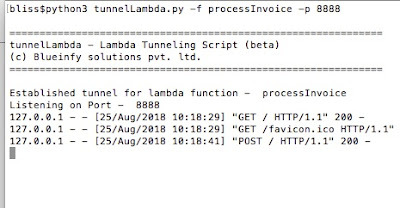 Hence, one can leverage tool like tunnelLambda while performing pentesting. It is part of our scanLambda toolkit (Here - http://blog.blueinfy.com/p/blog-page.html). It is very simple as shown below. 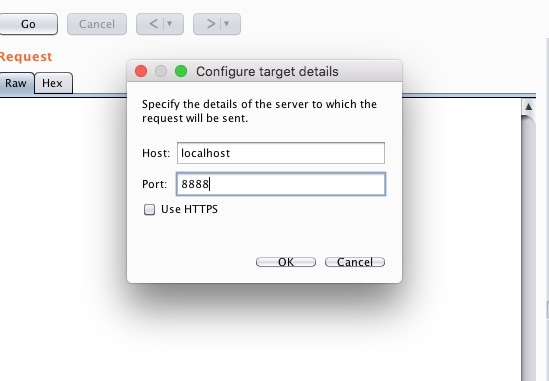 It establishes tunnel between your target lambda function and your specific tool on localhost/port. 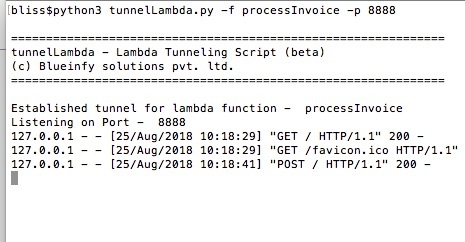 'tunnelLambda' helps in establishing a tunnel from your shell to a targeted lambda function. 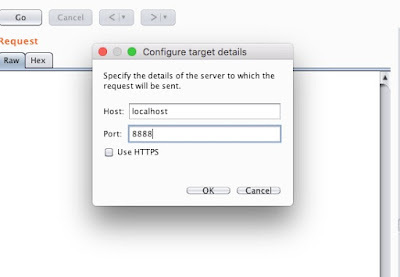 It helps in sending HTTP traffic to the selected port, which will automatically tunnel to the test function. Hence, now we can use some standard HTTP tools like netcat, sqlmap, Burp or ZAP to test the lambda function. We can start running sqlmap as well. Hence, this allows us to quickly leverage all popular tools against lambda functions.